Scrying Eye Games S.E.G. 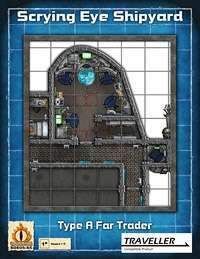 Highport - Traveller licenced products Type A Far Trader "Easy Money"
A staple of the free trade lanes, the 200 ton Far Trader is a common sight in the Traveller universe. As varied as her crew and captain, you never know what you'll find when you climb aboard one of these. The twelve pages for this beauty give you the top and lower deck along with the outside view.. All deck plans are in 25mm scale. 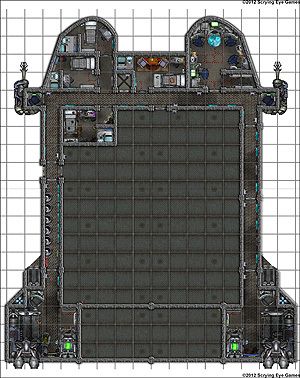 Art from Cosmographer reproduced at floorplan-scale is with special permission from Profantasy Software Ltd. This title was added to our catalog on January 07, 2013.